You know those mysterious kitchen smells that seem to come out of nowhere? They are by far one of the hardest things about being an adult. Where do they come from? What do I do once I’ve found the source? What if I never find it?? I get antsy just thinking about it. While I can’t speak for everyone, the fridge is a big culprit in my house. My love of leftovers ensures that at some point or other, the kitchen will smell a little ripe. And when it does, I just pop in a couple of these refrigerator deodorizing tabs. They absorb odors and leave a fresh scent to help get rid of (or mask!) those stubborn food smells. At the risk of being a buzzkill, it should be noted that step one of deodorizing your fridge involves tossing out the leftovers and cleaning up any spills. No matter how many deodorizers you stick in there, it won’t do much good if you’ve got a moldy block of cheese hiding in the dairy drawer. But don’t feel like you need to give the fridge a deep clean. A quick once-over will do just fine to get rid of any major smell-makers. 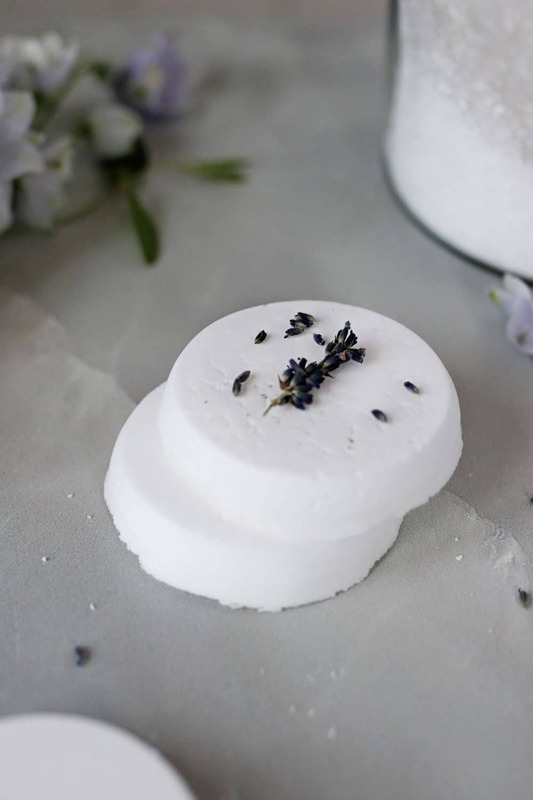 Once that’s done, whip up a few of these deodorizing tabs to absorb any leftover odors and freshen with essential oils. 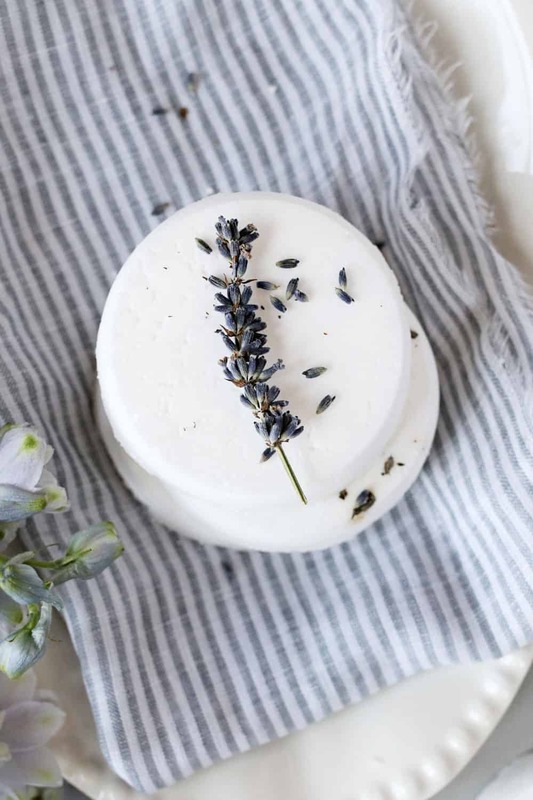 When it comes to natural cleaning products, baking soda and lavender are staples. These two ingredients, plus a little bit of water, are all you need to freshen your fridge naturally. While I love lavender and use it practically everywhere, some people don’t like the smell mingled with their food. If you’re one of those people, try using just a citrusy oil instead. Lemon, orange or grapefruit oils will give you a fresh, sunny scent without the overpowering floral aroma. Combine all ingredients in a medium bowl and stir to combine. The mixture should be the consistency of wet sand and if you grab a handful it should clump together easily. If it doesn’t, add more water a teaspoon at a time until it reaches the right consistency. Spoon the mixture into your silicone mold. Firmly press the baking soda mixture down so it forms a compact disc. Place the mold on the counter and let them dry for 48 hours. Or if you’re in a hurry, pop them in a 170-degree oven for 2 hours. Test to make sure they’re completely dry, especially in the center, before trying to pop them out of the mold. If you find that they crumble, continue baking for another 45 minutes to an hour. Once they are fully dry, store them in an airtight Tupperware container in a cool, dry place. To use, put one on a small plate in the back of the fridge. Replace every 30 days or so.